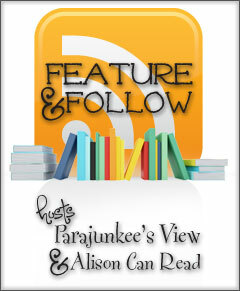 Gain Book Blog Followers and make new friends with the Book Blogger Feature & Follow! If this is your first time here, welcome! You are about to make some new friends and gain new followers — but you have to know — the point of this hop is to follow other bloggers also. I follow you, you follow me. Question of the week: When you step out of your USUAL genre what do you like to read? Best books in that genre? Answer: So obviously Paranormal Romance is my usual genre, but it really encompasses all of the romance genre. When I step out it’s usually for Young Adult which I really don’t read that much of but since some of my favorite adult title authers are determined to write YA, like a good fan girl I read those titles too well for the most part. The most recent YA title that I read and LOVED is Kresley Cole – Poison Princess and man was it FANTASTIC! And isnt the cover gorgeous?! 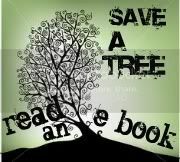 I love my paranormal books be they YA or adult! YA books have definitely improved since my day! I'm a paranormal fan too! I haven't heard of the book you mentioned but it looks interesting. Thanks for stopping by my blog. New follower. Hopping through. I can't wait to read Poison Princess. I've heard it's great. 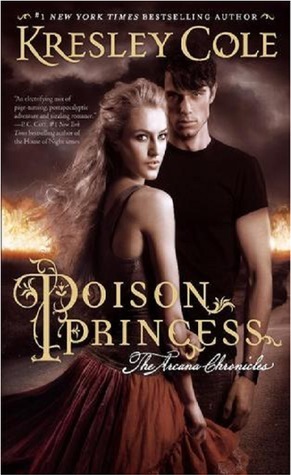 I REALLY need to get my hands on Poison Princess, all I've heard is awesomeness when it comes to that book. Great pick! Ha ha. I'm the opposite when I find out my favorite young adult author wrote a romance I have to go pick it up like a fan girl! Hopping through! Great choice for stepping outside your favorite genre! Hey Amanda, Just dropping by, thanks for checking out my FF. I like some YA too, especially YA Paranormal or Urban Fantasy. :-) Following via GFC. Have a great weekend. I have this book, but haven't read yet. Can't wait!